In today’s Book review I’m going to again give one positive review, and one negative review. First one of my all time favorite authors of escapist fiction, ladies and gentlemen, the successful and prolific Michael Crichton. Jurassic park is classic beach reading. It’s fun, it’s light, it’s suspenseful. There’s a little science, but it’s not over anyone’s head. And It has DINOSAURS! Yeah Baby. What’s not to love. It’s the kind of book that keeps me coming back to read a few years later. I DID think that the protagonist and some of the other characters were written as movie characters… but even if that’s true, more power to Crichton. 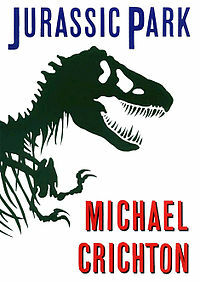 Michael Crichton died at a tragically young age. But like Tu Pac, he kept publishing. If live Michael Crichton is one of my favorite authors, dead Michael Crichton is one of my least favorites. 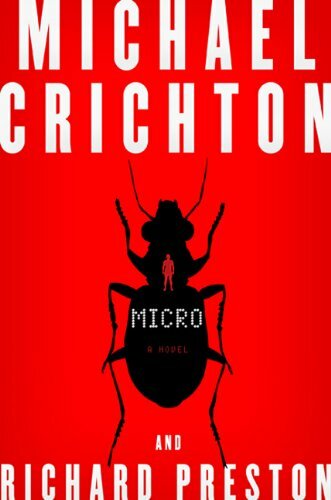 I was probably 10 pages into Crichton’s posthumously published MICRO when I figured out what was going on, rolled my eyes and plowed on… a bit more. I just couldn’t finish it. But, don’t let it stop you from reading some of his other works. I particularly like Eaters of the Dead (from which the movie the 13th Warrior was developed), Air Frame, Rising Sun, Andromeda Strain, Timeline, and the Great Train Robbery. Next week, Steve Hockensith’s Holmes on the Range Series.